Over the past decade, the old urban model, long favored by most media and academia, became the harbinger of the new city. We were going back to the 19th century, with rising dense urban cores, greater densities and thriving transit systems. That paradigm now lives on in myth and media, but not so much in reality. As the census data this year, and indeed since at least 2012, suggests, Americans continue to do what they have done for at least a half century – spread out, innovate and, in the process, re-create the urban form. Over the past several decades, the welcome recovery of select urban “legacy” cores – San Francisco; Chicago; Seattle; Washington, D.C.; and, most importantly, New York – has dominated the discussion of the urban future. Now these areas are experiencing a decline in growth rates, largely due to accelerating out-migration. In contrast, the fastest growth is taking place in sprawling areas like Riverside-San Bernardino and Sunbelt metros such as Dallas; Orlando, Fla.; Phoenix and Las Vegas. These areas now lead in gains of both people and, increasingly, jobs. Midwestern redoubts like Columbus, Ohio; Indianapolis, Ind. ; Omaha, Neb. ; and Des Moines, Iowa; are growing far faster than core-dominated regions like New York, Chicago or San Francisco. 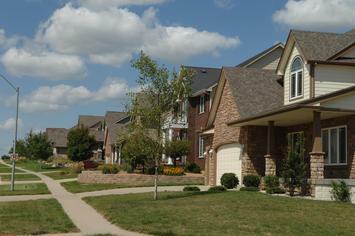 Overwhelmingly, suburbs are where most growth is happening. Since 2010 suburbs and exurbs have produced roughly 80 percent of all new jobs. Even tech growth is shifting, with more of the action taking place in like Orlando, Charlotte, N.C. (each at 7 percent); Grand Rapids, Mich. (6 percent ); Salt Lake City; Tampa, Fla.; Seattle; Raleigh, N.C.; Miami and Las Vegas.